What started off as an idea in an NCCP-led Strategy Lab in Hackensack will soon become a reality. ArtsBergen seeks to transform a blank wall in the downtown into a visual delight for pedestrians as they travel to and from the Hackensack Performing Arts Center (HACPAC). ArtsBergen is an initiative of the The Northern New Jersey Community Foundation (NNJCF), which works to build better communities through the arts. The mural project is a collaboration between NNJCF's ArtsBergen, the Hackensack Main Street Alliance, and its Creative Arts Team. The idea for the project was conceived as part of the Hackensack Strategy Lab, a joint initiative of NCCP and ArtsBergen. "The Strategy Lab was a great way to get local residents and businesses interested in the project," wrote Albert Dib, Director of Redevelopment for the City of Hackensack. "We received tons of great feedback, which we can now incorporate into a final product. 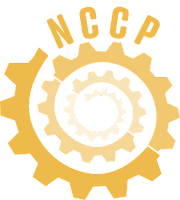 NCCP was key to organizing this effort which yielded some very positive results." The HMSA's Creative Arts Team received 33 applications and will select a winner by July 23. The mural may be finished as early as late August or early September, according to Danielle De Laurentis, Associate Director of NNJCF. The mural will be painted at the corner of Demarest Place and Main Street on the north wall at 135 Main Street. Demarest Place is a unique pedestrian walkway, crossing Main Street, between the Atlantic Street bus stop and the HACPAC. The strategy lab took place on October 17 of last year at the site. Residents of Hackensack and the surrounding communities met to brainstorm ideas on art, physical elements and cultural programming. The goal of the mural project is to create an enlivened, beautified public walkway that serves as a gateway to Main Street from the bus stop and the HACPAC. NCCP conducted Community Coaching for Hackensack in 2016.